SOLOMON SEAL FOR PROTECTION AND HEALTH: This Seal of Solomon provides protection from all earthly danger and helps in the physical rejuvenation of the body. 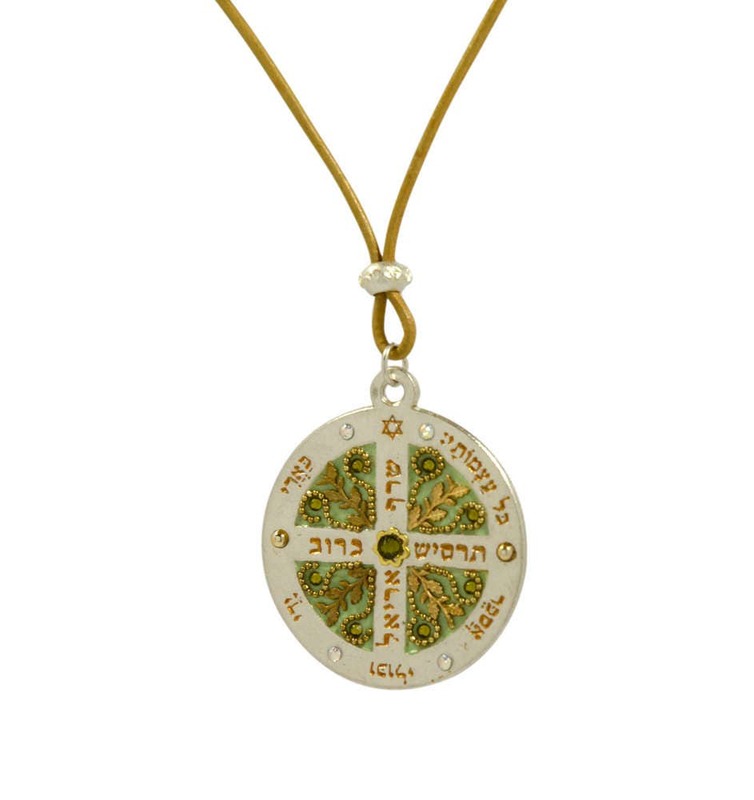 HANDMADE 925 STERLING SILVER SEAL PENDANT: The 925 sterling silver Solomon Seal weighs approximately 0.7 ounces (19.8 grams) and is 1.75 inches (4.4 CM) in diameter. 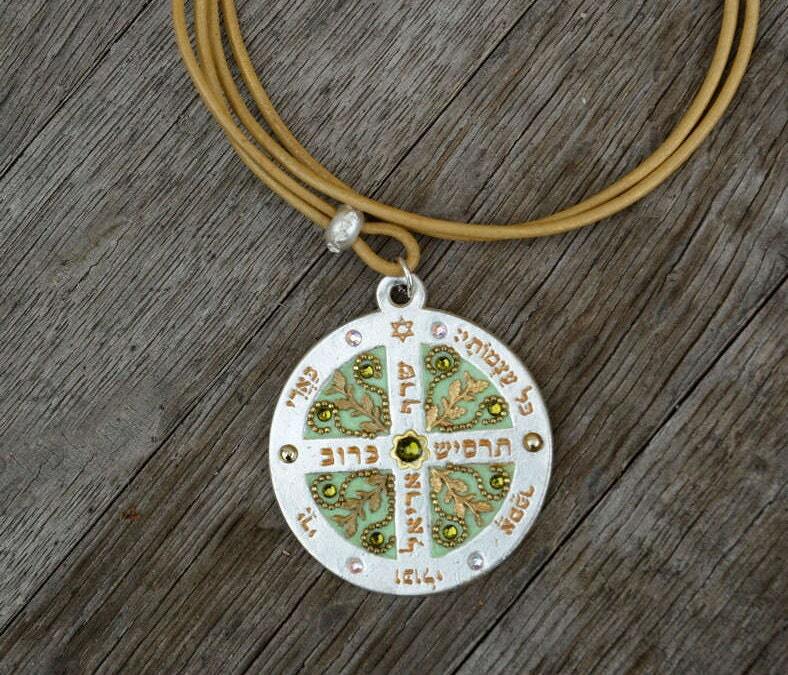 The seal is decorated with Swarovski crystals, brass and pewter elements - all handmade. 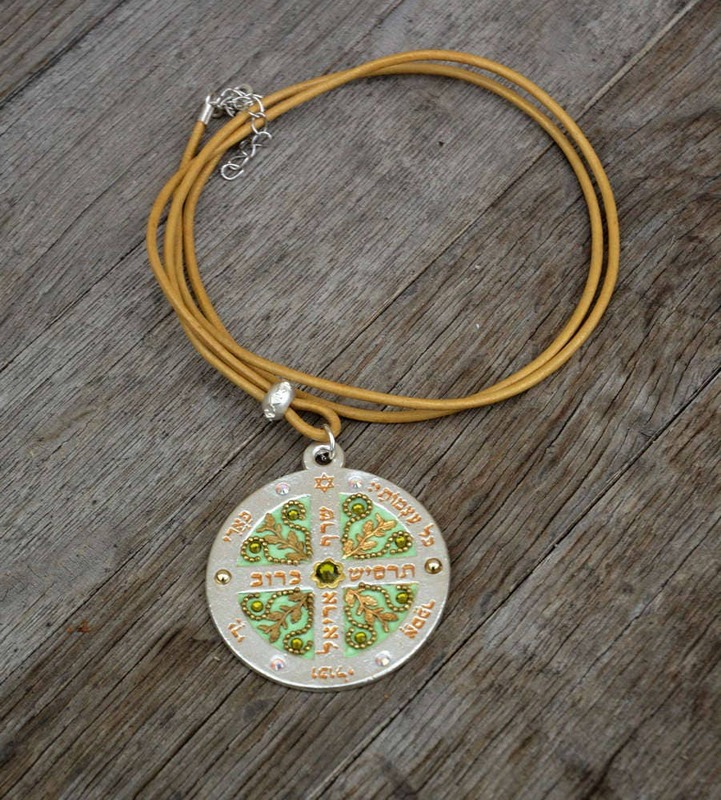 GENUINE LEATHER CORD NECKLACE: The Solomon Seal hangs on a long 37 inch (94 CM) necklace with 925 sterling silver findings and extension links. 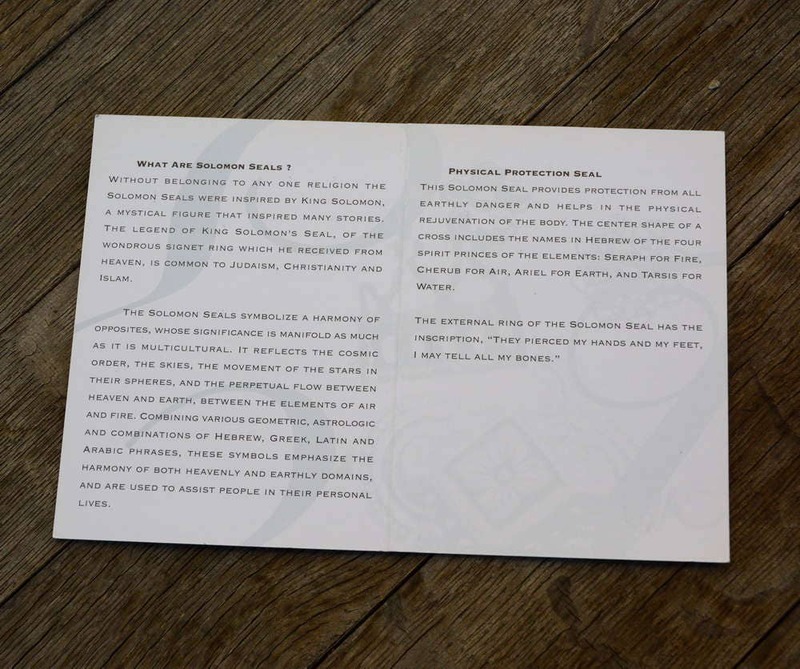 PACKAGING AND AUTHENTICITY CARD: Each Solomon Seal is delivered in a gift box with a certificate of authenticity and detailed explanation card.